…but progress at least. I’m recovering, but at a snail’s pace. Or so it feels. I know that’s not really true – I’m lucky that after just one week I can get out of bed and move around comfortably on a daily basis. I know I’m doing well that I can make my own breakfast and coffee. I know it is progress that I’m not taking painkillers very often, not even every other day. I just want to be doing more, and every time I try I make everything worse for several days. There a lesson there, now if only I could figure it out…?! Okay, whinge over. Really, I’m doing very well and the nurse I saw on Thursday to have stitches removed was very impressed. I started off sleeping a lot (nothing new there), so I know I’m improving because sleep is becoming elusive. I’m just not using enough energy. Just 5 more days then I can start exploring the out-of-doors more, gradually building up my walking again. I’m so looking forward to that. 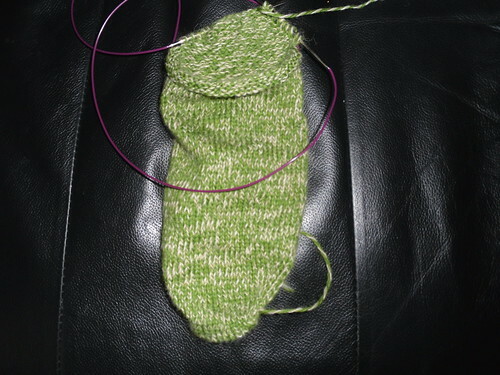 In the meantime, there is reading and television and of course knitting. Plain and simple, and a blessing when I was struggling to stop my hands from shaking while waiting in the hospital. 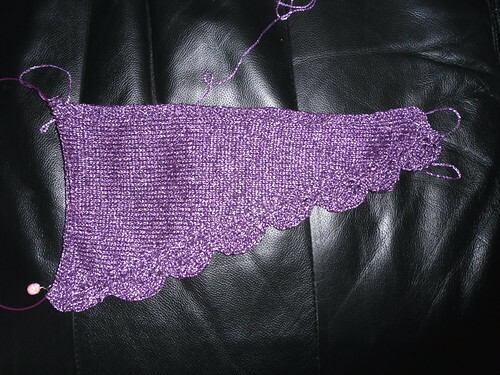 Gethin’s christening shawl is progressing nicely. It now has a complete border and a dozen or so rounds inside. It is still very slow to complete a round, but should get quicker as it goes. I’m not looking forward to blocking this! 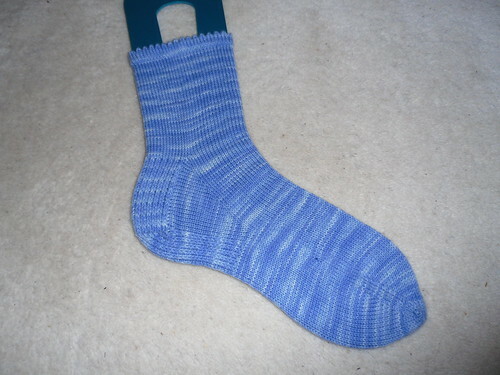 Apart from the knitting and the hospital visit, is has been a largely uneventful week for me. I had a range of visitors to keep an eye on me on Weds, as A had to work. It was actually very tiring, which surprised me. Even though no-one let me do anything, I still felt like I should act the host and tried to keep small-talk going. Until lovely Sam turned up in the afternoon…she fed me lunch then I fell asleep almost before I even got into bed. Yesterday my 12 year old niece had her tonsils removed, so we spent the day waiting for the text message to say she was okay. Her op wasn’t until late afternoon, so she couldn’t go home until after 8pm. She was complaining of pain, but most of all wanted to sleep. I really wish I could go round and give her a big hug, but there’s no way I can at the moment. I’ll have to make up for it when I’m better, but in the meantime we’ve sent her flowers. Hopefully she’ll see that as very grown up and it’ll make her smile. Now, this week coming…ha! Nothing much. 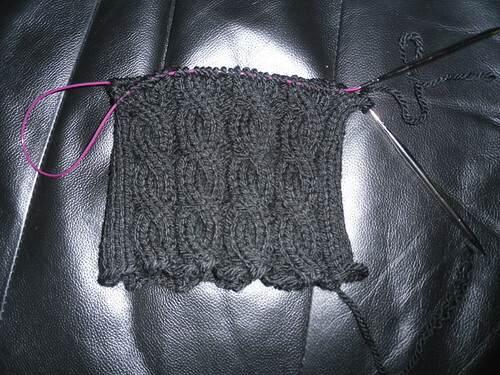 I’m allowed to start moving around more from Thursday, but only gradually, so probably just more bad television and lots more knitting. 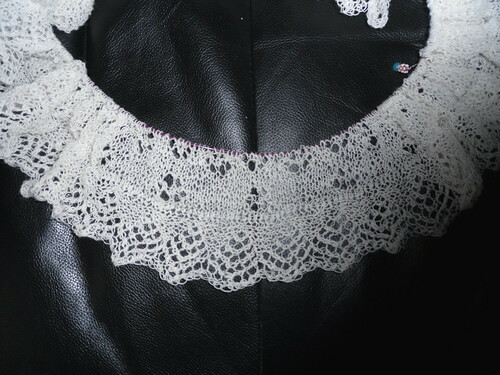 This entry was posted on October 23, 2010 at 12:25 pm and is filed under Family, Health, knitting. You can follow any responses to this entry through the RSS 2.0 feed. You can leave a response, or trackback from your own site. Glad that you are recovering and your niece is good too. I really had some catching up to do! Love seeing your projects during recooperation. It seems like I never get anything done if I’m on the least level of pain killers.